Foundations And Beyond Horsemanship : SPOTLIGHT on BETH ~ Congratulations to A Brand New Quality Welsh Breeder! SPOTLIGHT on BETH ~ Congratulations to A Brand New Quality Welsh Breeder! Welcome Mt. Ridge Latte! 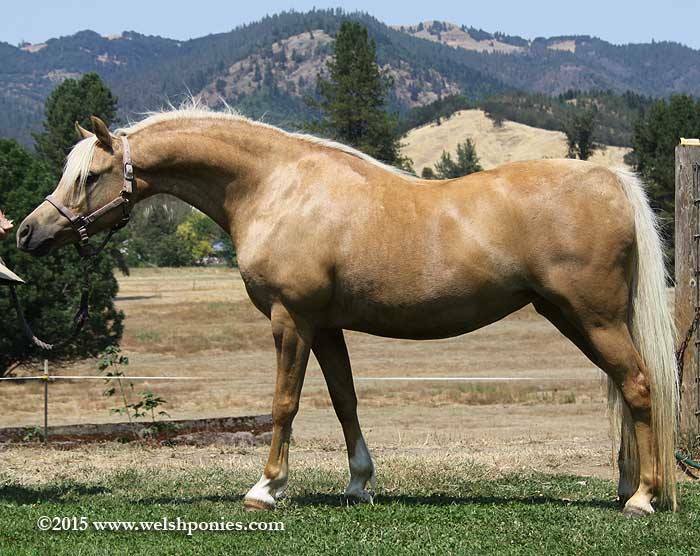 Latte is a daughter of the famous Wedderlie Mardi Gras of Family Partners Welsh Ponies. Beth has taken multiple steps towards her goal of becoming a quality Welsh breeder this week. A HUGE step was signing the sales contract for Mt Ridge Latte, a seven year old, multiple show ring winning broodmare, who Beth can't wait to welcome home! 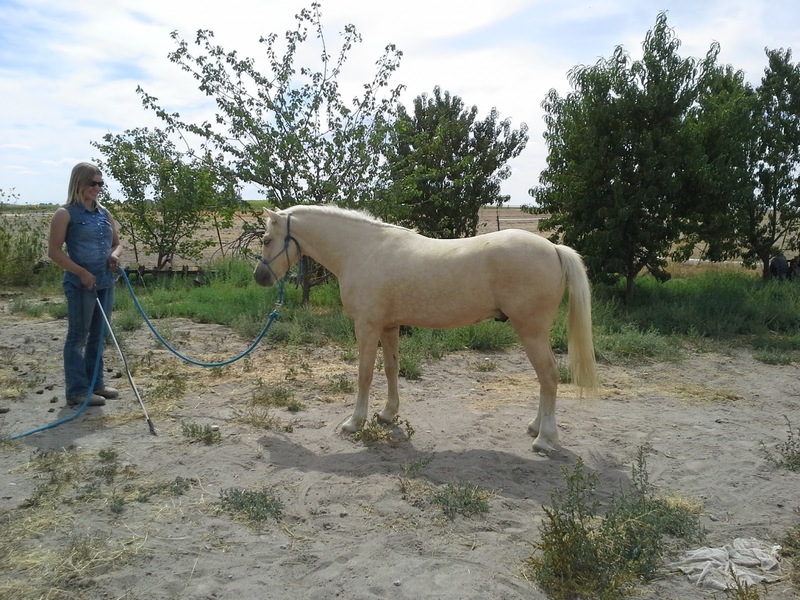 She also filed her assumed business name with the Idaho Secretary of State and filed for her own prefix with the Welsh Pony and Cob Society of America. Beth will be bringing Latte home this summer as soon as Latte is ready to travel after her breeding to Mynach Master Class. Beth acquired a project pony, a little two-year-old Welsh filly, just after Beth turned thirteen years old. She purchased the filly to train and then sell the next spring. At the time Beth acquired her the pony’s feet had some serious problems, but we thought that we would be able to rehabilitate her feet. This was Beth’s first experience with the Welsh breed and out of this experience she formed a goal of breeding her own high quality Welsh. While still pursuing other goals and interests Beth has been steadily continuing to work toward her goal of eventually starting her own quality Welsh breeding program. Beth had so much fun training that first Welsh pony, Pez. However, Pez was an example of careless backyard breeding. Her dam had a genetic club foot which she inherited. 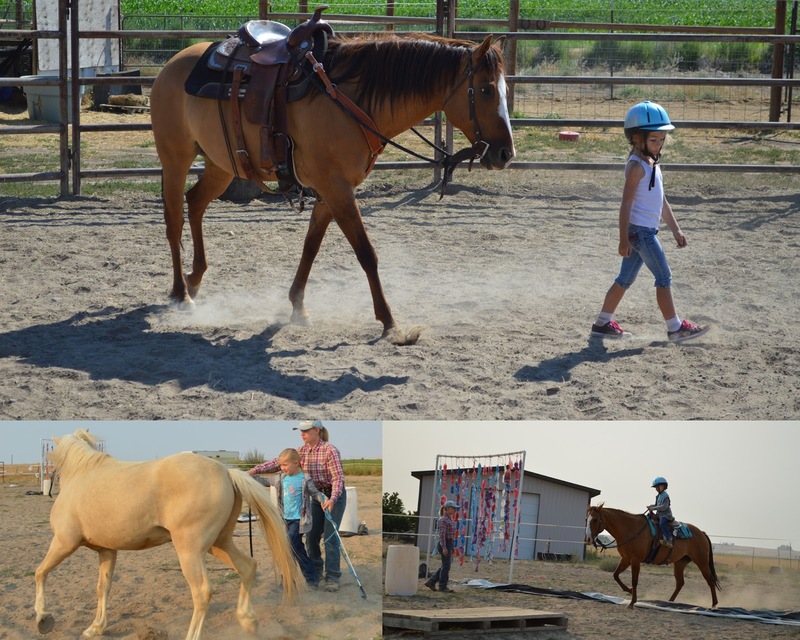 Fortunately, Beth (with the help of Ted and Terrence’s time and skill) rehabilitated Pez' hooves, and Beth trained her and then sold her to an excellent home where she is being ridden, shown and loved by two sisters. This experience added to the many horses we have been exposed to over the last several years combined to inspire in Beth a strong desire to breed quality Welsh ponies. She wants to breed Welsh ponies of exemplary quality and continue to promote exemplary training and behavior in ponies. Basically Beth wants to be the antithesis to the common run of carelessly produced, negligently cared for in their growing years and then badly behaved ponies that have often dominated public perception, and also many parents and children’s experiences with, ponies! Beth feels strongly that working on this area of the equine world is worth doing. There is no question that she is unusually suited through a combination of her physical traits (five feet tall and 120 pounds) and her life experience and skills to excel in this field! Pez - now known as "Summer"
Since then, each summer as part of her pursuit of her Welsh breeding goal she has obtained a project horse to train and resell the following year. She also began giving children’s horsemanship lessons and classes. When she purchased Ardreth (an unstarted four year old Welsh gelding) in 2014 she also planned to train and sell him. However Ardreth became a very hard to let go of pony and now seems almost as invaluable as Clay to Beth in her lesson programs. Beth says that she might be tempted to take $10,000 for him! *As a bonus, scroll to the bottom to read the sonnet 'My Golden Boy' by Beth. This is the project horse she acquired in 2014 who she did sell in 2015. Popsy at four years old was a pretty little appaloosa with a SUPER calm disposition. 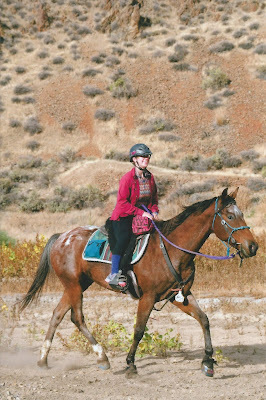 Beth spent a lot of time putting a rock solid foundation on, and then giving Popsy lots of real life experience with different young riders. Popsy went to an absolutely perfect match home. Beth did not dedicate all of her earnings for her broodmare fund; she also used some to continue to pursue her other interests. 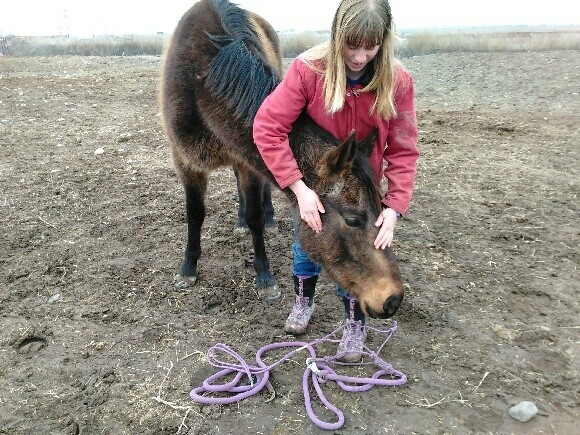 The most important to her of those were; endurance riding, ballet, singing, and wanting to breed her paint breeding stock/quarter horse mare Clay, so that she could raise her own foal from birth (what teenage girl doesn’t think that sounds like a good plan?). I can remember Beth saying something to the effect that if she didn’t do it pretty soon she would become too practical to think it was a good idea…. Her first attempt to breed Clay was an off season breeding to Clyde (it seems a long time ago, before we gelded him!). That didn’t work out and her next attempt was to a beautiful buckskin stud belonging to Busted E Quarter Horses for a 2015 foal. Everything was more carefully timed and handled and we knew for sure that Clay was bred and had settled. By the time Beth knew that a foal would not be arriving (must have slipped fairly soon after her coming home); the inevitable had happened – Beth was too practical to try that again! Beth sorely missed having Clay available during her 'pregnancy'. That breeding fee (which came with a LFG) sort of turned into Beth’s current project horse, Cookie – so she is at least able to train a filly out of that stud, even if not a progeny of the incomparable Clay. Beth decided that she would focus her energies on this filly as a project horse and let that move her toward obtaining a quality Welsh mare to begin her breeding project with. When Latte foals Beth will finally experience raising a foal from birth. She will at last make use of the pink foal halter which she purchased two years ago and has thus far been used only as a bed post decoration. This year’s project horse, Cookie. Beth is planning on devoting most of her time this summer to work, i.e. giving lessons and training her horses and helping at clinics. 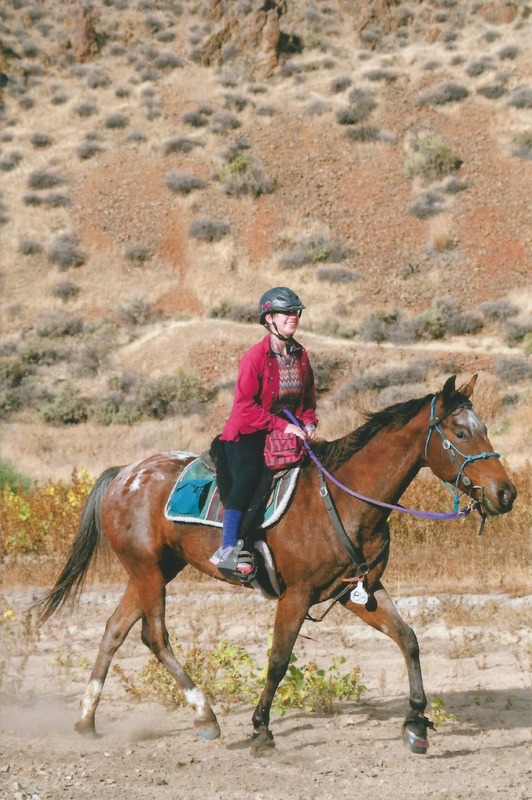 In order to be able to both pursue her educational goals and her Welsh breeding goals she will not be able to ride endurance as much as she would like, although she is hoping that an opportunity or two might arise. Beth is a valuable addition at our clinics. 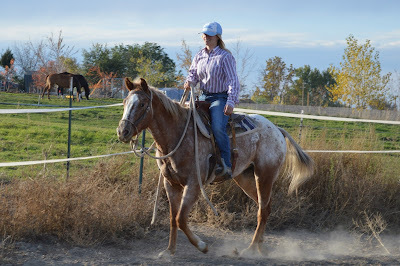 She is especially good at encouraging and inspiring confidence while helping horse owners who are having a hard time being effective with their horses. She often uses a 'demonstrate effective technique, and then coach the handler to be effective' approach to help the student having difficulty. 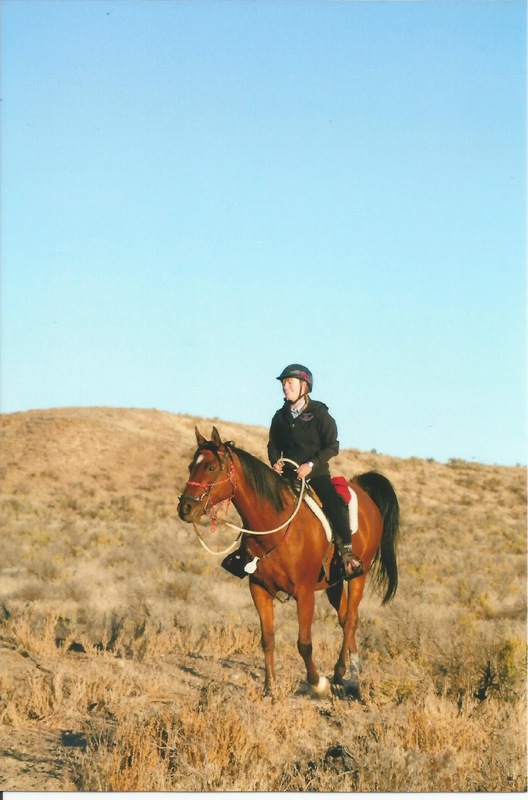 2015 was her last year as an AERC (American Endurance Ride Conference) junior. She had been elected as the Junior Representative for the Pacific Northwest Endurance Riders for the 2015 season. Beth was successful in helping to change the age requirement for sponsors for junior riders. She was offered a wonderful opportunity from her generous sponsor, Karen Bumgarner to have a great last junior year. 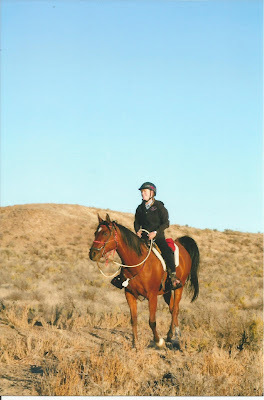 Beth was able to complete 560 competitive miles from April through October, most of them on Karen’s horse The Big Brass. Steph Teeter also provided Beth with Jose’ Viola as a mount on three different occasions. While the ride season did not go exactly as planned (do they ever?) and although she did not quite achieve her competitive goals for the season she did have a wonderful time! She earned a pile of awards, bringing home jackets, sweatshirts, a vet check bag, vest, etc.! Among others she won PNER Champion Jr. BC twice (Brass and Jose tied), PNER Junior Overall Champion, 1st and 2nd place Idaho junior (winning on both Brass and Jose), Top Jr. Northwest Mileage in AERC, SWIT&DR Top Jr. Congrats Beth! As part of her career goals/planning this year she has changed from traditional homeschooling to using the services of an on-line charter high school in Idaho. She plans to become a chiropractor and is aware that she will need to work hard to achieve that goal without coming out of school deeply in debt. Beth is a hyper focused student who maintains a very high GPA, actually over 4.0 most of the time but she will occasionally forgo an extra credit opportunity as long as her GPA is at least at 4.0! As a very busy young lady with high standards for herself, one of the choices Beth was faced with last fall was whether to continue ballet lessons (she has been enjoying that and has especially loved being on point the last couple of years) or focus on developing her singing by joining the choir group Treasure Valley Young Artists. The choir is a limited time opportunity (only primary and secondary students are eligible). Beth and her three sisters were all invited to join the choir after auditioning. The other girls voted in favor of making the switch from ballet lessons to choir; that change was made and Beth is loving the opportunity to work with a choir. The girls love to enjoy activities together and have made a habit of singing in chorus with each other for years. Joining this choir is sort of a coming home experience for Beth as she is being directed by the same person who taught her as a six – nine-year-old when she was a member of a choir in Ontario, Oregon. She is hoping to make it into ‘Premiere Singers’ the elite section of the choir at next fall’s auditions. Most of our children love singing together and the girls and Sam are all reaping the benefits of professional direction. While they definitely get their musical talent from their father this is a case in point of the naturally gifted not necessarily being good at teaching! As though made from marble and melted gold. None can compare to this pony so bold. Fall in love with Ardreth's fair charms they must. The beauty falls and he's dishwater blonde. His sweet boundless charm is still there, not gone.